Brazilian and American experts compare systems and explore solutions. Free access to justice for those in need sounds like a utopian dream. 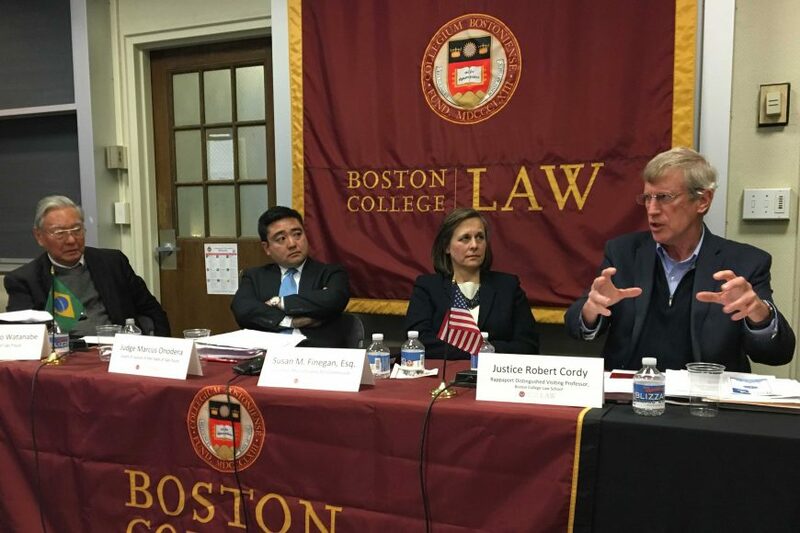 That dream written into Brazil’s constitution led to 100 million lawsuits—or approximately one lawsuit for every two Brazilians—in 2014 alone, according to a prominent Brazilian judge speaking at Boston College Law School on November 15. 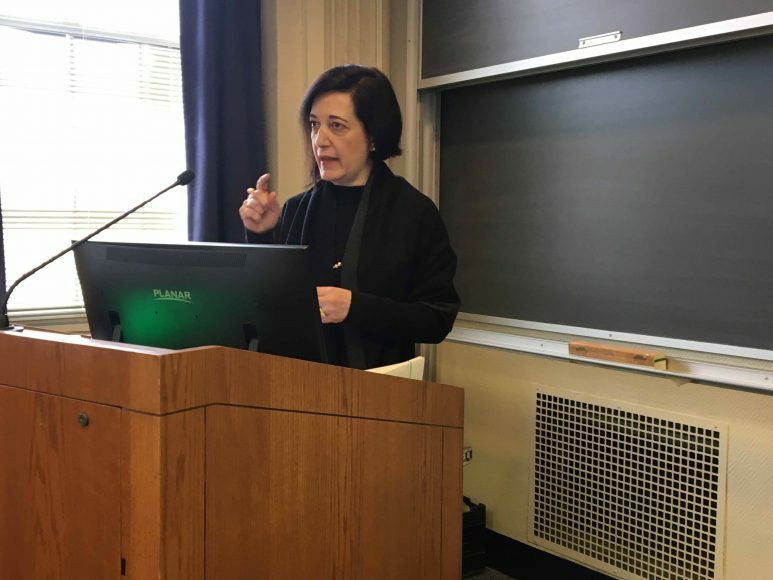 “Brazil has around 1,300 law schools, roughly the total number of law schools in the rest of the world,” said Christine Santini, a judge in the Court of Justice of the State of São Paulo. 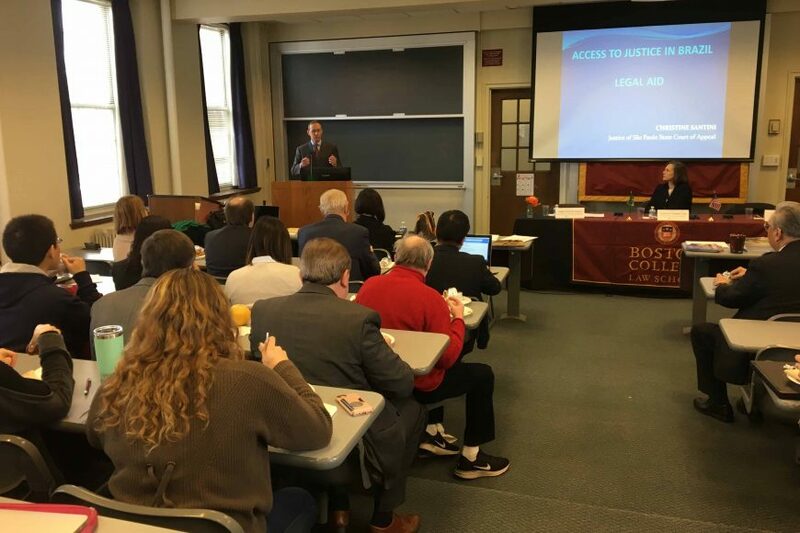 Her presentation was part of “Opportunities and Challenges in Access to Justice: Lessons from the US and Brazil,” a two-panel comparative law event co-hosted by Boston College Law’s Program on Innovation & Entrepreneurship (PIE) and the Clough Center for the Study of Constitutional Democracy. 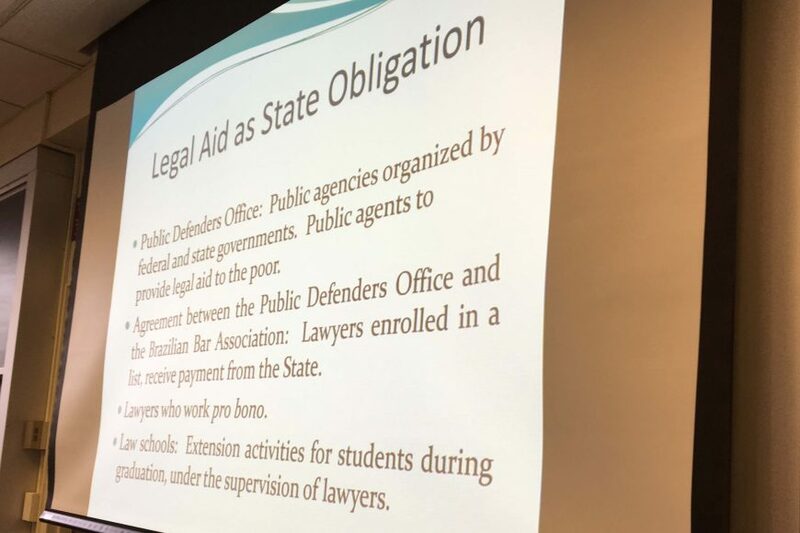 “Legal aid in Brazil is a state obligation. You have to have it,” Judge Santini said. “But we have a problem in Brazil: eligibility.” Article V item LXXXIV of Brazil’s Constitution reads, “The State shall provide full and free legal aid to those that evidence insufficient economic means.” But because eligibility for free legal aid is not defined by fixed standards and because Brazil also requires that the losing party reimburse the winning party’s expenses and court costs, frivolous litigation is rampant in the nation’s court system. 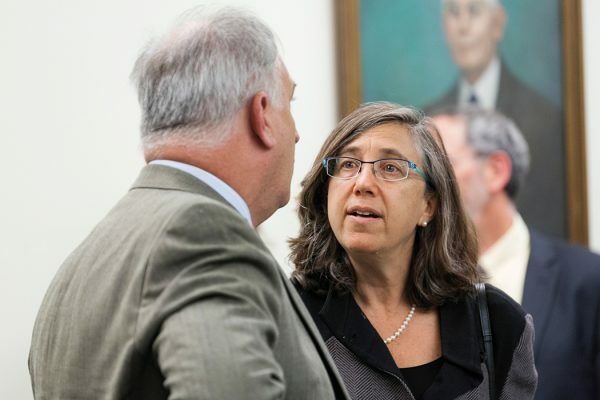 In São Paulo, home to Brazil’s largest civil court, half of the lawsuits brought in 2014 involved matters with values under $4,650, Santini said, citing a study by Professor Luciana Luk-Tai Yeung of the São Paulo Insper Institute of Education and Research. 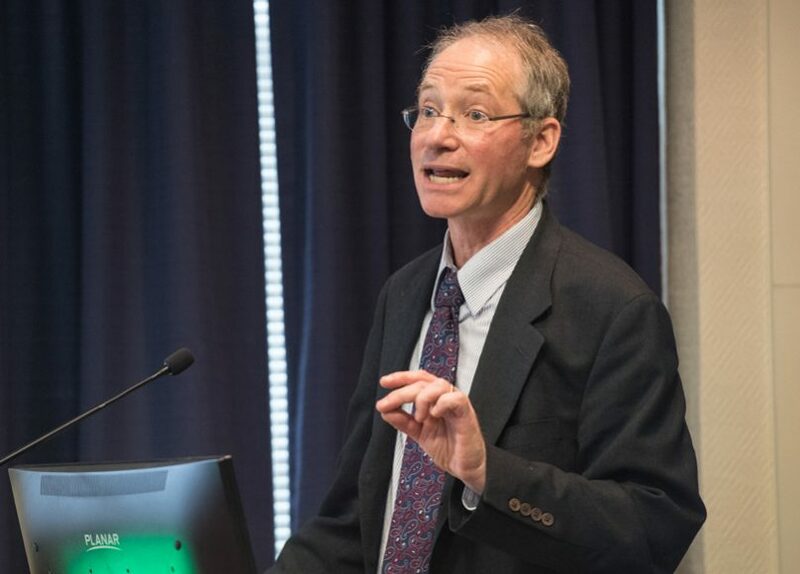 In the US, individual states and municipalities have stepped in to give people the right to counsel, said fellow panelist Russell Engler, professor and director of clinical programs at New England Law Boston. For example, New York City has established a right to free legal representation in eviction cases for tenants who earn no more than twice the federal poverty level. Watanabe—a retired judge of the Court of Justice of the State of Sāo Paulo—receives significant credit in Brazil for the creation and contours of small claims courts, the consumer protection code, and class actions. Despite facing anti-Asian prejudice early in his career, Watanabe became a judge in Brazil’s most populous state, São Paulo, and is well-known for attempting legal reforms under Brazil’s military dictatorship, and for continuing those efforts after democracy was established in the nation in 1988. Watanabe is also a founder of both the Brazilian Judicial Research and Studies Center and one of Brazil’s leading law firms, Trench Rossi Watanabe, which is Baker McKenzie’s partner in Brazil. The second of the two panels focused on the benefits and challenges of government-paid civil representation and on thinking innovatively about representation. 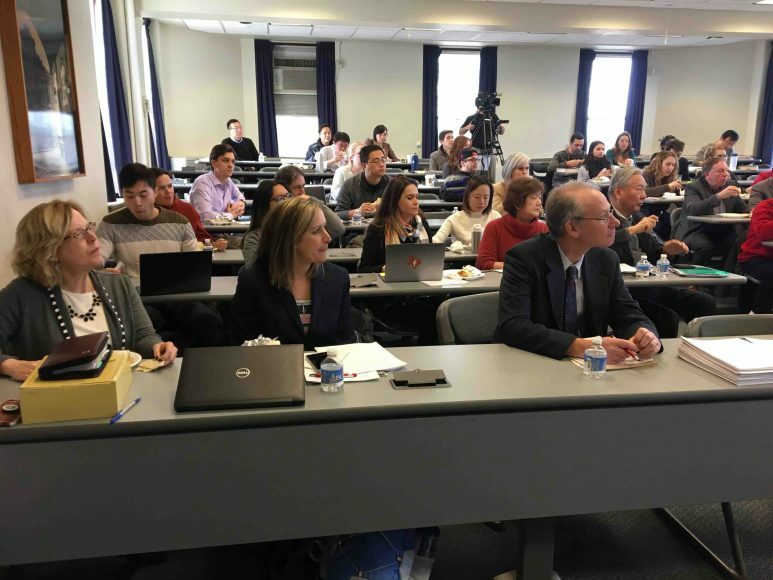 The participants were a mix of Brazilian and American experts: Marcus V.K. 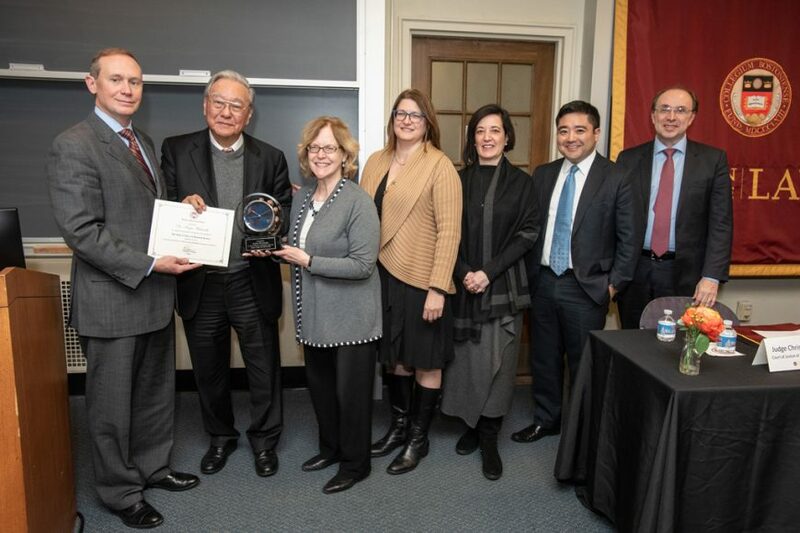 Onodera, judge of the Court of Justice of the State of Sāo Paulo; Samuel Brasil, associate justice of Espirito Santo State Supreme Court; Justice Robert Cordy, Rappaport Distinguished Visiting Professor; and Susan M. Finegan ’91, co-chair of the Massachusetts Access to Justice Commission and chair of the Pro Bono Committee at Mintz Levin Cohn Ferris Glovsky & Popeo. 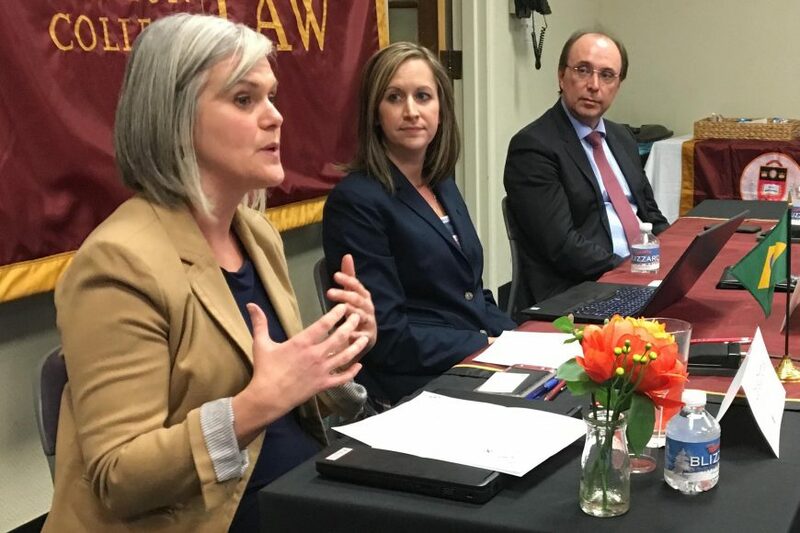 Also presenting were Renee L. Danser, associate director of research and strategic partnerships at the Access to Justice Lab of Harvard Law School, and BC Law Professor Claire Donohue. Photos: Panel of 4: Kazuo Watanabe, Marcus Onodera, Susan Finegan, and Robert Cordy. 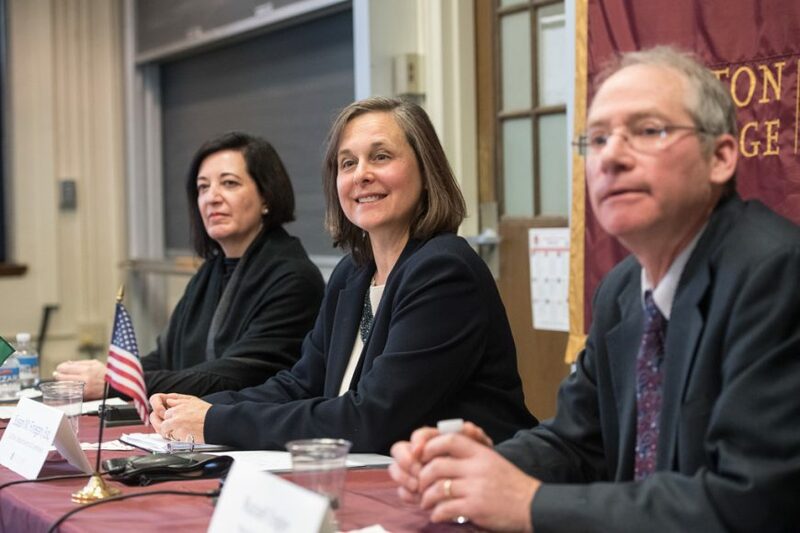 Panel of 3: Claire Donohue, Renee Danser, and Samuel Brasil.